Paper Machine launches a new library of artist books. 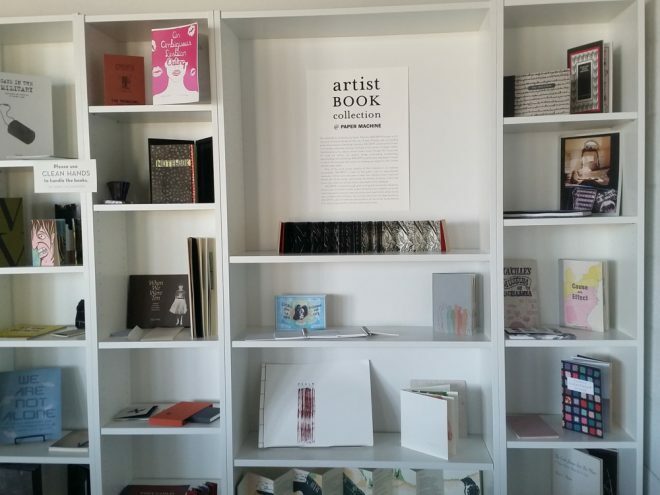 Paper Machine hosts an event to celebrate the opening of its Artist Book Collection, a library of books created by artists in all media. To give context to the collection, writer Jeff Weddle gives a talk at 1 pm about Jon Edgar and Gypsy Lou Webb’s small-press magazine The Outsider, which was published by New Orleans’ Loujon Press in the 1960s. This event is free and open to the public. For more information, email abc@papermachine.works.